7 Vitacress manager bags award for "huge impact"
Salad leaf supplier Steve’s Leaves has launched a new salad product containing a mix of wild rocket and oriental baby leaves packed in smaller bags to prevent waste. The new bag will contain red pak choi, green tatsoi and wild rocket in 60kg bags, available from Waitrose for £1.40. The leaves are grown outside, washed in spring water and packaged in pillow bags filled with fresh air, designed to prevent damage. The company says the leaves are packed into smaller bags to prevent waste and are grown on a farm with 10% of land reserved for wildlife conservation and biodiversity. 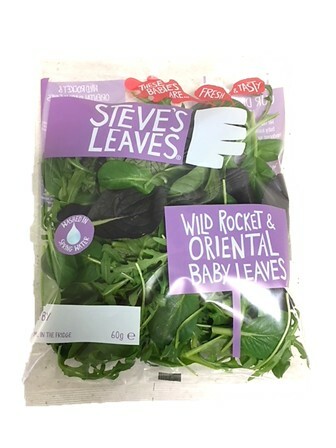 Commenting on the launch, Eleanor Bridgman, head of innovation & marketing for Steve’s Leaves, said: “At Steve’s Leaves, we are always on the lookout for new and exciting flavours and leaves and we are delighted to launch new Wild Rocket & Oriental Baby Leaves ready for summer.